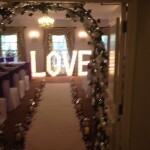 Here at Pure Elegance Weddings & Events we offer 4 different types of illuminated LED letters. Offering the perfect finishing touch and giving your event that wow factor it deserves, customers are able to hire ‘Mr & Mrs’, ‘Mr & Mr’, ‘Mrs & Mrs’ or ‘LOVE’ for their weddings and events. Their crisp clean white finish gives a cutting-edge look that will make the perfect backdrop for Instagram opportunities. 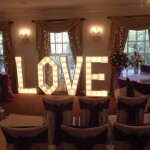 We are proud to offer our most recent addition to the range at a half price cost for our lovely customers for a limited time only – Our 4-foot-tall illuminated LED LOVE letters are only £100, with free delivery, usually costing £199. We are also excited to present our Mr & Mrs letters which stand at 5-foot-tall, are LED and are just £250 with free delivery within a 15-mile radius of Chorley. 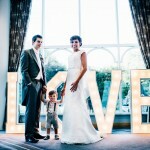 Enjoy memories and take some fantastic pictures standing by these letters whilst they illuminate your setting perfectly. 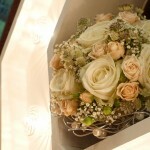 They will be sure to make a great talking point throughout your day, adding elegance to any room. 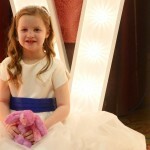 Do not hesitate to take a look at our gallery and see our range of illuminated LED letters and how they played a part in our previous customer’s big days. To check availability for your special date contact Donna now on 07977 545105 or if you’d prefer, fill in this quick form to receive a call back in regard to our complimentary consultation. Monthly payment plans are available.